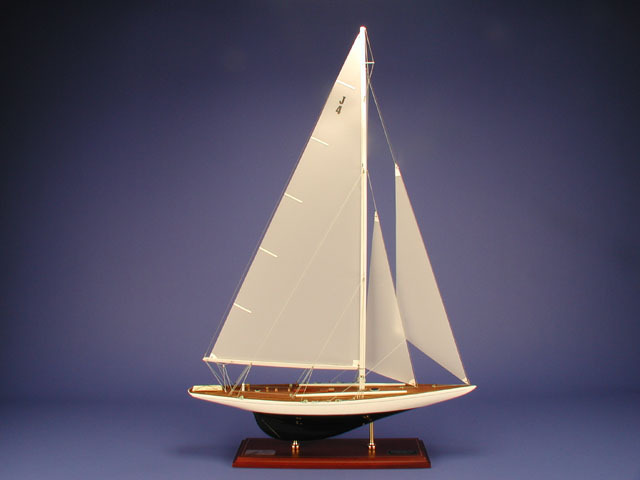 The 1930 America's Cup winner was designed by William Burgess. At 121 feet in length and with a 162 foot mast, this was one of the largest J-Class yachts ever. She was guided to victory by skipper Harold Vanderbilt. Dimensions (L x W x H): 24.5" x 5.0" x 36.0"